“E-cigarettes” may help smokers quit when other methods have failed them. Italian researchers studying the effectiveness of “electronic” cigarettes (E-cigarettes) for smoking cessation published a report of the experiences of three smokers who found success with E-cigarettes in the January 3 Journal of Medical Case Reports. All three had failed in previous attempts with professional smoking-cessation assistance using the usual nicotine-dependence treatments and smoking-cessation counseling. 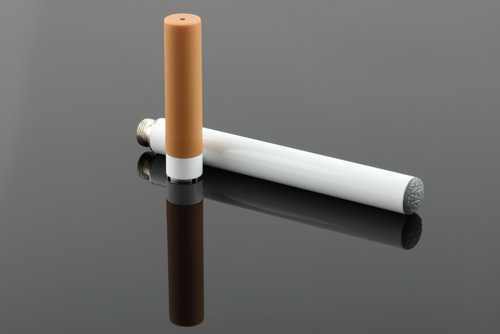 The three heavy smokers (two men aged 47 and 65 and one woman aged 38) were able to quit smoking tobacco products and remain abstinent for at least six months after they began using an E-cigarette with a nicotine cartridge. “Larger, controlled studies are needed to confirm this interesting finding, particularly for those smokers for whom the handling and manipulation of their cigarettes play an important part in the ritual of smoking,” noted the researchers, who said the E-cigarette may be a gateway to smoking cessation. Serious psychological distress has been linked to heavy smoking and an inability to quit. Read more in the Journal Digest column of Psychiatric News.